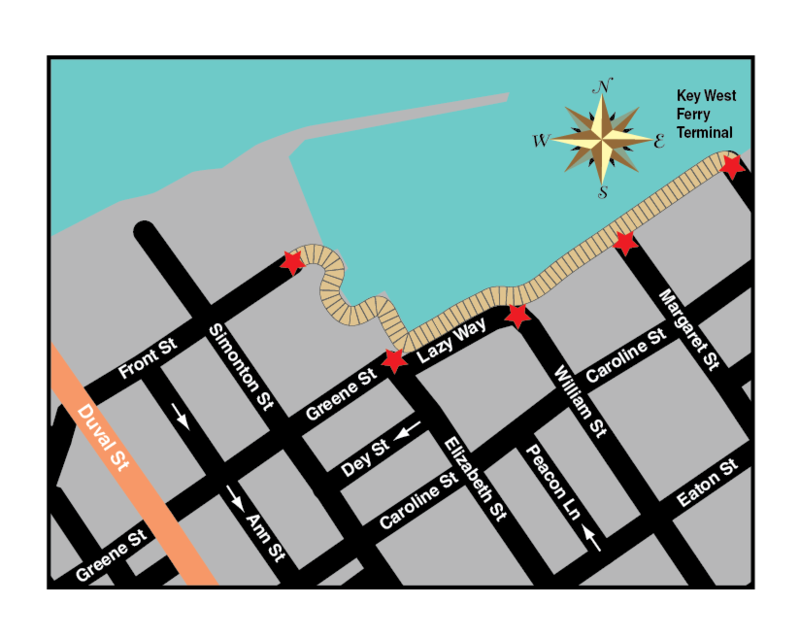 Key West's only bait and tackle shop offers fishing supplies ranging from bait, hooks, and reels and of course signature Key West Bait & Tackle t-shirts, hats, coolie cups and Key West Beach Towels. Check out the Live Bait Lounge for a tasty breakfast or lunch. Happy Hour is all day long with domestic beer priced at only $3.25 and imports starting at just $3.75!